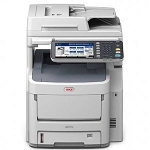 The OKI® MC562w Color MFPs combine high-quality color and four-in-one functionality with speed, reliability, ease of use and wireless printing capabilities—superior value from a desktop device that has a footprint small enough to fit easily into your environment. MC362w and MC562w MFPs print and copy in HD Color, an OKI exclusive: multi-level printheads and microfine toner provide more detail, greater color depth and reduced grain, for breathtaking output even on ordinary office paper. 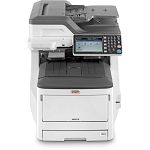 The OKI® MC770+ Color MFP Series combines high-quality color and four-in-one functionality with speed, reliability and ease of use—superior value from MFPs that have a footprint small enough to fit easily into your environment. 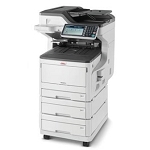 They’re the perfect solution for the mid-size workgroups in your company. 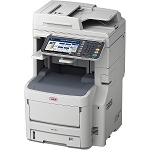 The OKI® MC770+Color MFP Series combines high-quality color and four-in-one functionality with speed, reliability and ease of use—superior value from MFPs that have a footprint small enough to fit easily into your environment. 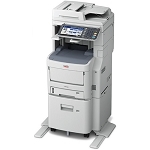 They’re the perfect solution for the mid-size workgroups in your company. 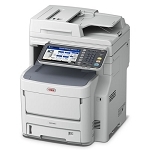 The OKI® MC780+ Color MFP Series combines high-quality color and four-in-one functionality with speed, reliability and ease of use—superior value from MFPs that have a footprint small enough to fit easily into your environment. 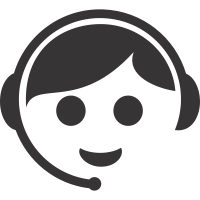 They’re the perfect solution for the mid-size workgroups in your company.